He was the chief economist at the International Monetary Fund from 2003 to 2007. 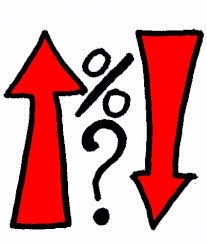 The recent hike of repo rate has been one of the shockers for the economy and for the market. By the time you read this article all of you are aware of some name like Urjit Patel Committee report etc. RBI has also taken change in its inflation target where it will now focus on CPI moving away from WPI. Well WPI is currently 6.2% hence RBI is least bothered about it where as the CPI is 9.8%. Its good move to shift but I have some hard analysis behind the entire game show being portrayed by RBI. Sudden change over is well reasoned but at the same time it is well disguised. The large picture is that currently Indian government and other BRIC nations excluding China are running with high levels of fiscal deficits. These fiscal deficits are being financed by external borrowings which have been done through increasing the interest rates on the bonds being issued. Well hot money, cheap money whatever name you give have come from the developed economies in the form of QE to these emerging economies over the last 5 years(right after the recession began). Now when the US economy is improving and is no longer able to print money and keep the QE dragon to alive has finally decided for tapering. Well this tapering would be gradual process but this gradual process is enough to kill the high fiscal deficits economies like India .Brazil, Turkey, South Africa and Russia. China is saved since it stands on its own legs. Well for the rest of the economies its going to hell. When the tapering would happen inflation will spook up since depreciation of the rupee will happen due to the flight of capital (dollar) from the emerging economies. I am not raising the fear that all asset classes would suffer. Flight capital would happen but that little outflow would crate a mojor problems for the Indian economy and for the rupee. I am sharing the economic aspect of the game played by RBI disguising the Urjit Committee Report. This is the reason behind why MSF rate have been hiked so that to control depreciation of rupee. The biggest problem begins when inflation will spook up and RBI will be in a problem of decision making regarding the interest rates. Moreover when you enter FY-15 new monsoon expectation and crop season expectation would be present. Any significant negative affect from these two segments would spook up the inflation more and depreciation of the rupee. Moreover interim budget and New Government Budget would require government borrowings hence their would be problem for the Indian economy. In between with high inflation and low credit off take would create serious problem on the economic growth of the Economy. The only green line is that if there is an stable government with majority and no chances of coalition then Indian economy would be saved. Quick Policy action would be required to come out of this gridlock. The bigger picture is that QE tapering would happen. B The answerer lies yes it will happen and the Governor of RBI is EX IMF Chief Economist. That’s why he have hiked the interest rates in advance and this was the key data he was expecting to see after his December 2013 monetary policy where he said he will wait for more data. Just simply imagine that current CPI is 9.18% and he is expecting that CPI to come below 8%. This 8% would come down within a month, moreover 57% of the CPI is based on food items and oil price..Currently the food prices are down hence 8% would come within a month. Then why the interest rate is being hiked now. He might have waited further. He might already know that in calendar year 2014 tapering would happen and he is well aware of the large picture. This is the reason for which the rate of interest has been hiked. Moreover those who have taken the words that this is the last rate hike. Well after the rate hike this is the consolation prize which has been given to us. Rate hikes are bound to happen unless Central Government is formed with a majority and quick decision are not being made to spook the investment climate. The early damage to the economy was made when the RBI hike continuously 13 times the Interest rates to control the inflation. Majority of the educated people from the city of Kolkata have exited due to the weak and poor condition of the state. The city of Kolkata and rest of the part of west Bengal is being dwelled by Bihari, UP and other provinces. The city is already under the National headlines of the media due to the increasing number of rapes and crimes. The city of joy is longer the city of joy, rather it’s a goon training state now. I hope you will remember that once upon a time Bihar used to be one of the highest crime related cases. Today west Bengal has become the same, in the recent couple of years Auto-rickshaw drivers are behaving dangerously with the citizens of Kolkata. In Kolkata we will find less number of public transports and more numbers of Auto –rickshaw. Who needs to be blamed for this is another debatable topic. Well the lists of above incidents are enough to reveal that the state government is very weak in its law and order and needs stringent measures to improve the same. In my last article I wrote that if the law and order of the state don’t improve then how the citizens of the state would feel secured. Just focusing on the industrial development without proper security to the people is like falling knife. What CPIM created needs to stop? I have heard that these cases are being created to defame the present government of West Bengal. Well this cannot be the excuse to let the things make a long list of happenings. If this type of law and order system continues in Kolkata and West Bengal then a time will come that when the educated people would turn out to be an goon and behave equally same with these type of incidents. In most of the cases the police of West Bengal is reluctant to file FIR against these cases. These cases are only taken into legal perspective only when the Media channels are contacted. Can anyone explain what type of law and order is this prevailing in West Bengal? Like other states the west Bengal Government can ask these Auto-rickshaws to get registered and run based on meter system.This will also reduce the differences between unfair fair practices. If the law is designed then the Minister don't have to come down on the street. Moreover the state government should get the drivers registered for the Auto-Rickshaw segment and should make them wear mandatory specified dress followed with a batch number and name engraved on a plate. This will allow the drivers to be tracked easily and would also make the FIR more strong. This also helps the West Bengal government to have greater control and governance over the drivers. In Delhi Auto-Rickshaws GPRS have been mandatory installed so as to track them. Well at the end the name of the CITY of Kolkata is again defamed and now this is getting spread across the world. From Chennai to Delhi, From Kolkata to Mumbai CITY OF JOY IS DEFAMED. In my previous article I discussed about how the cost components of the distribution business model helps an organization to expand and how the business is being established. Today I would like to discuss the process of killing the competition and how to create strong revenues for the Sub-broker or alternate channel. Last time I discussed about the revenue being generated from the sub-broker/distributor segment. In term of financial segment the revenue sharing happens in the ratio of 75:25 or 80:20 ratios. In my recent study I find that many sub broker /alternate channel business companies are coming to an end since margins of business have reduced and manufactures are in direct contact with them. This eliminates the middle man relationship and products are being sold at hefty prices. Mis-selling stands at its own place as continued earlier. Many of the companies have come up with direct model which replicates the sub broker or channel based business model. Well all are in the mad race of business and numbers and not on the game of value propositions. Today the article is based on how to play the game of value and price in this business model. Now the business of a financial sub-broker or distributor runs on the factor of acquisition of clients. The more number of clients he has under his belt his product offerings and revenue increases at the same time. One of the key factor which needs to be kept in today’s economic world is that product diversification is the key solution to cater every segment of clients across the market. Hence product like life insurance only cannot meet all the requirements of the clients. In the market we would find many sub broker/distributors giving example of one product success stories but all those days are gone. We are no longer in the age of selling one product; we have to meet multiple requirements of every client. Moreover the complexity of the modern life has increased the demand of multiple segments which finally leads to the process of developing and meeting the requirements of those multiple segments. Now product offerings have become at the doorstep by a manufacturer hence product diversification blockage is completely eliminated but the risk to the same has increased substantial over the years. Hence one sub-broker or distributor needs to be mapped in with an organization to get the clear direction about the various product offerings and now this is the common trend which have been carried on over the last 20 years in the financial market. Now those national distributors who are running the business of sub-broker/alternate channel needs to develop the business of these through more client acquisition for them. If a company provides clients for its sub brokers then just imagine the faith and the bonding that company develops with its sub broker/alternate channels. Now the company who plays this dice successfully is the leader in the market. This process become a two way process, where one kills the competition of price bargain over selling the financial product a well build a well trusted long term relationship. Today in every business and more importantly in the financial business trust factor is the key and that needs to be nourished from the very bottom level. Now coming down to the real picture where a national distributor who is completely merged into sub-broker business need not go for direct client acquisition. That will create a rival for the own sub broker/alternate channels. They should rather develop business for the sub broker through introducing those clients through them and increase the revenue for the sub brokers. When a sub broker gets a client from the national distributor that distributor becomes indebted to the company since everyone knows the pains and cost of acquisition of customers. Now when one company keeps on adding clients for its various sub brokers and helps them to grow their revenue obviously price bargaining takes new direction. From 75:25 ratio of sharing can be brought down to 60:40 levels where the revenues increases for both segments. The sub broker gets clients and obviously they will get them for life time at the same time the sub broker would negotiate price compared to the values being provided. This value and price proposition increases the market penetration and profitability. This business model kills the unfair price war and miss selling concepts and kills unhealthy competition. Now of my friends would come with an example that why not to start a direct business and make more revenues. Well the cost of penetration through sub broker model and through direct makes a huge difference. Moreover with changing Relationship Mangers substantial business is being lost by an company where as a sub broker who’s business have been supported in the above discussed business model remains with the company irrespective of the change in human manpower. In the initial days direct business models is a honey moon phase but over the years the business comes to a dead end. Well we all know that relationship in business pays and that saves in many dark times. Then why not create a business model on the same path. The coming years would be the battle of values and within values knowledge cannot be the only one. Since internet and smart phones have increased the knowledge power. All is needed to fight the inflation and in order to that business and revenues needs to be increased. Find ways to increase revenue this will only make the business more strong. New products and services are just in the wings of dawning which will design the future of business models. Well this is not a New Year speech which is being re-written by me. The Big Data analysis market is about to take new shape and turning in this year. Those who have worked in Big Data analysis segment must be aware of the two segments BBD and ABD—before big data and after big data. Or, to use a naming convention matched to the topic, we might say that Analytics 1.0 was followed by Analytics 2.0. Now it’s the time to go for 3.0. 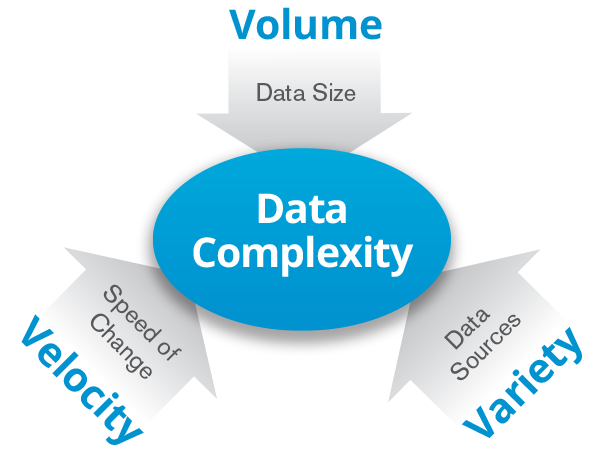 This will bring a revolution in the data management and data analysis segment. New players emerge, competitive positions shift, novel technologies must be mastered, and talent gravitates toward the most exciting new work. Managers will see all these things in the coming months and years. The ones who respond most effectively will be those who have connected the dots and recognized that competing on analytics. But all these will be happening in 2014 prior to that we need to encapsulate what has happened in 1.0 and 2.0 big data analysis segment. The field of business analytics was born in the mid-1950s, with the birth of tools that could produce and capture a larger quantity of information and discern patterns in it far more quickly than the unassisted human mind ever could. From there the journey of Big data analysis began but in India it was just now.1.0 was the beginning of understanding the business phenomena and giving managers the fact-based comprehension to go beyond intuition when making decisions. It was the birth of systematic process driven business decision making process. This was the 1st step towards the first time, data about production processes, sales, customer interactions, and more were recorded, aggregated, and analyzed. This phase can also be termed where the era of the enterprise data warehouse, used to capture information, and of business intelligence software, used to query and report it. Computer data and software analyzer took a huge jump a created the next level of data analysis. One of the biggest bottle necks was that the analysis was painstaking and slow, often taking weeks or months to perform since the supportive software was not capable enough. Well after this the 2.0 phase began, about which we are known. The basic conditions of the Analytics 1.0 period predominated for half a century, until the mid-2000s, when internet- based and social network firms primarily in Silicon Valley—Google, eBay, and so on—began to amass and analyze new kinds of information. Companies created new capabilities of IT infrastructure to store and capture the Big Data. This is the same time that Indian companies started exploring the huge opportunity of IT but data analysis was at nascent stage. The only deep focus was to create the same values of IT infrastructure in India like the developed economies. In this process we became the Back Office of the global economy. This back office leads to capture of huge data in these several years from 2000 to till date. In these years the global economy took a major change in business process and the same was witnessed in India. Machine- learning methods (semi-automated model development and testing) were used to rapidly generate models from the fast-moving data. Black-and-white reports gave way to colorful, complex visuals. This is the place where presentation skills and analytics took shape in India. One more thing I would like to accentuate that during 2.0 engineering models were created which changes the manufacturing process of the developed economies. Now we are stepping into the shoes of 3.0 where data analysis is about begin to reshape and redesign the business process. The pioneering big data firms in Silicon Valley began investing in analytics to support customer-facing products, services, and features. They attracted viewers to their websites through better search algorithms, recommendations from friends and colleagues, suggestions for products to buy, and highly targeted ads, all driven by analytics rooted in enormous amounts of data.3.0 is nothing but the game of competition where one would play to thrive over the other in terms of better process, services and customer satisfaction. If your company makes things, moves things, consumes things, or works with customers, you have increasing amounts of data on those activities.3.0 is the just the beginning of new markets and products. I find entrepreneurs and innovation would find a huge growth from the Big Data analysis. Today I will discussing about an industry which has grown to Rs 8.5 lac cr based upon the distribution business model over the last decade. Well this same industry was Rs. 1,21,805 lac crores in January 2003.This simply gives a clear indication about the stupendous growth the industry have achieved over the decade.I have been working in this industry more than 10 years and I am fortunate enough to see the business models of the financial distribution business. From 2003 the financial distribution industry moved into a revolutionary growth phase with diverse products. Mutual Fund used to be the prime business for the distribution models. I remember that Mutual Funds, Equity IPO are used to be sold like a hot cake. Days and Nights used to busy with prospecting with clients and deep focus for acquisition of clients. Distribution business models are based in two segments 1) Direct client model and 2) Sub broker/channel business model. I will be covering the business model cost and also the strategy for growing the business of the sub-broker/channel business model. The 2nd business model was the most easiest and fruitful business model which is currently being run by the financial distribution business. Direct client models ruled the financial market from 2003 to 2008 and after the abolishment of entry loads concept in mutual funds the business took a hit. But the sub broker or channel business kept on ringing its business growth and this business model is very much cost initiative. The financial distribution cost component comprises mainly of employee cost followed with working capital cost. It does not involve investments in Fixed Assets hence much of the business in the initial days are being started based on low capital requirements. It can also be said that variable component of the cost is more since if the business grows well the organization converts variable cost into fixed cost and vice-versa. Well cost estimation before any business is being started and working capital projection strategies needs to be prudent enough to provide support to the business in the long run. I have seen many companies who have dried out due to initial outlay of huge cost, without making realistic projections about revenue growth. Standing today at 2014 the business cost of this type of segment is low since one needs to invest more on technology and employees to drive the business growth. One of the major differences between direct business model and sub broker model is that in the former one the employee cost remains high followed with a substantial growth in fixed cost and variable cost in the form of office rent etc. In sub broker model the clients are majorly mapped or brought into the system by the agent. Hence if you don’t have an office say in Duragpur (West Bengal) or Pune (Maharashtra) but your office is in Kolkata or Mumbai, your sub broker gets business from these places without a penny being spent from your pocket. In other words you don’t have to set up any office and incur fixed or variable cost but still you develop business network and procure business through channel business model. If I compare this business with CMA practices we will find that we have to open new branch offices to provide services and increase business where as in financial distribution model based upon sub-broker/channel business model leads to a significant business growth without incurring any cost component. Well this was about the business set up model of sub-broker or channel based model now I would bring the growth model of this business segment where judicious cost measurement is required to set up the business. The success process in this business model is that one needs to get deeply into the cost components of the sub-broker/channel business segment. It can be compared with FMCG industry where the success of the business partner/franchise is being taken care by the company itself. For a sub broker the cost component always remains a high since he has to spend after keeping aside his fixed expenses. Hence the marginal expenditure all ways remains a hindrance for his growth. He has to take calculative steps and often these steps are setbacks for his business. Hence as a manager of a financial distribution business model one should follow the below process to develop and grow his business which would finally lead to the distribution business growth. One of the prime things one should keep in mind that your cost saving is dependent on the growth of the sub-broker business. If he fails to grow then you might have to take the step of setting up a new office in that place to get business. After this cost calculation of his business one distributor needs to take other cost segments also so that profitability calculation for his business can be measured and designed. His personal and family expenses needs to be taken into account so that to make his more viable. This cost component aspect is being taken mainly to keep the business of the sub-broker/channel distributor to alive. Well every one earns for his family hence we need to take all these things into account so that his distribution business turns out to be profitable from all sources. Hence we find that his total cost yearly stands around Rs.9 lacs. On the overall it can be said that proper estimation of cost (fixed and variable) is required in the financial business segment. Majority of the distribution business segment falls apart due to improper and uncontrolled cost estimations. Hence now we need to develop his business plan where he can earn more than Rs 9 lacs so that he can live a reasonable life supported from his distribution business. One of the key aspect of this segment is that we did not take into account other cost like borrowing/loans which he might have taken for setting up his business and also as working capital. When we take into account all these cost factors we would find a substantial growth in the cost components of the sub-broker. No the distribution company can design the business plan and customer acquisition plan based upon the cost factors and revenue generation target of the sub broker. This type of business planning is required to develop a sub broker based distribution market. Moreover in the above all calculation the profit game is dependent on the type of client is being procured by the sub broker. The distribution company should focus more on client acquisition process for the sub broker. Since this is the key area to kill the entry of any type of distributor from taking away your sub broker. Providing clients to the sub broker leads to a substantial growth of business. The new year has began and expectation of lot of aggressive & positive vibe is in the air.2013 was an eventful year for the world economy hence I am no longer inclined to focus or draw any lines highlighting any events. 2014 is another year where the global economy is going to see lot of turnaround across globe. First of all the global economy is going to witness a number of election where change of power would happen in political segment followed with new expectation and economic policies. The below list is the name of the countries which are going to witness turnaround in their political climate. Well its well clear that new policies are bound to rule the world in 2014. Indian Election is going to be one of the biggest events for 2014 since it will decide the fate of the Asian economy and money makers of the developed economies. The current position of the economy is very weak but provides a stupendous opportunity of growth for the next 5 years term. Many of us has already taken fro granted that FY-15 Indian Economy would find a GDP growth of 6%+ which is an very aggressive expectation. Well those who have taken this GDP growth should be ready for an big blow since the whatever growth would come it would come from H2 of FY-15 since major part of the H1 would be devoted towards election and Budget & Policy expectations. Even in the H2 part of FY-15 there would be slow growth since bottle necks are too much and time is less. In the sector based segment its well clear that Infrastructure is in the rock bottom levels and any movement from here would be growth but wait for an minute. We have been hearing this rock bottom story for the past 3 years but no growth has come. It will neither come immediately. It would take another years time to get the growth since the investment climate is so week that injection of steroids could only spook the growth for the sector. Plan medicines would not be able and hence privatization and easy policy frame work is required to get the growth in this sector. For example if infrastructure projects have to take 37 clearances across 11 ministries then just imagine how you can bet on an speedy recovery in the sector. Hence it would take some time to remove these bottle necks so that GDP growth jumps to 8+ as dreamt by my beloved readers. While increasing the investment/GDP share is an issue, the incremental capital/output ratio has crossed 6.5, again highlighting inefficiency in capital usage and the fact that the problem is not just with fresh projects, but stalled projects. In between the new government has to face the heat of rising bills of NREGS, Food security Bill, National Urban Health Mission and all these would be an compounding burden on any government whoever comes in. On the earning side its well clear that companies have gone through hard times and they have created few historic new base levels for the FY-15. This is going to be an key trigger for the stock market to keep the momentum alive. In between mid companies are going to be the game changers as it has been in the previous growth phase of the Indian economy. One should understand and link that growth of the Indian economy is based upon the growth of Mid cap companies, getting converted into Large caps. On the merger space we found that in 2013 and prior to those companies have been looking to raise additional capital through equity and sale of non-core assets. The trend is likely to extend into 2014. Well that would provide the Indian corporate to stop diversifying and experimenting into loss making ventures. Moreover real investments and real players would come to explore the opportunities. The world economy would find squeezing of capital as well as inflow of capital the only battle which will be exciting to watch would be who keeps the positive inflow in the system. One should have an clear idea that the developed economies are no longer going to feed the global economy with easy money. Hence tapering speed breakers will be there, at the same time emerging economies would find policies and funds to keep the system alive. I have already marked in my previous article that 2014 would be a banking revolution year since major focus would be towards risk management and protection against tapering. Well for till now this is what I have in my series 1 of 2014 world Economic expectations. I have kept is short so that one can memorize the stuff and be ready for the 2nd series.